Streaming device pioneer Roku July 16 unveiled the Roku TV wireless speakers, the first speakers made exclusively for Roku TV. The speakers are “meticulously engineered and calibrated to deliver powerful, premium audio to Roku TVs,” according to a Roku press release. “Because Roku controls the software in both the speakers and TV, Roku is uniquely able to provide seamless wireless setup and connectivity, optimize sound for the picture and ensure audio video sync,” the release stated. Roku TV users can pre-order from Roku.com through July 23 for an introductory price of $149.99. From July 24 through Oct. 15, it’s $179.99. Beginning Oct. 16, pricing is $199.99. The speaker bundle begins shipping to customers by late October. The bundle includes two Roku TV wireless speakers, a Roku TV voice remote, a Roku touch tabletop remote, two Power Cables and four AAA batteries. 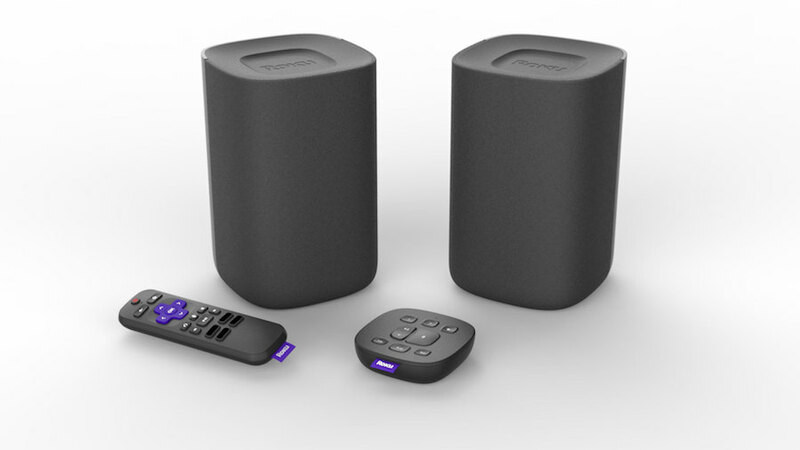 The speakers can be wirelessly paired to Roku TVs via Roku Connect, according to the release. Once paired, users can listen to audio from any streaming channel on the Roku platform, live TV from an antenna, or other devices such as a cable set-top box through the speakers. The speakers support Bluetooth music streaming from mobile devices. The speakers also offer automatic volume leveling to lower the volume on loud scenes and boost the volume on quieter ones and dialog enhancement to improve the intelligibility of speech. Roku TV wireless speakers work exclusively with Roku TVs, which accounted for one out of every four smart TVs sold in the U.S. in the first quarter of 2018, according to the company. 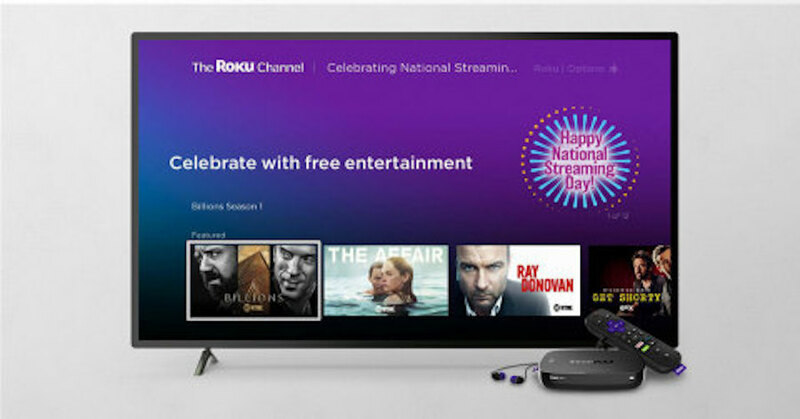 In celebration of 10 years of TV streaming, Roku May 14 announced it has unlocked free content for Roku customers and is offering discounts on select streaming players. 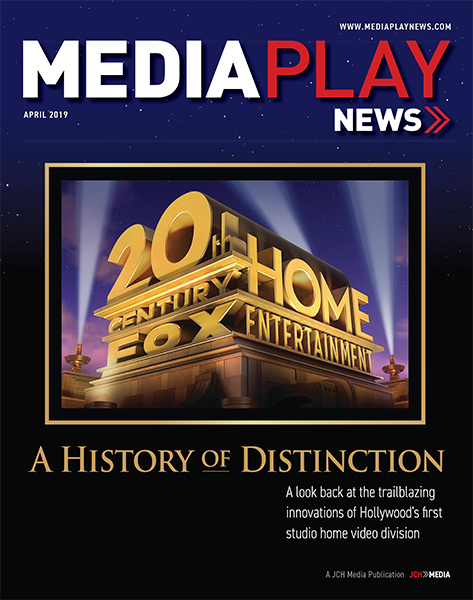 Content from select channel partners is available for free in the Roku Channel through May 20, including premiere seasons of the Showtime series “Billions,” “Ray Donovan” and “The Affair”; the first season of EPIX’s dark comedy “Get Shorty”; episodes of hits from Fox, such as “The Four: Battle for Stardom,” “Beat Shazam” hosted by Jamie Foxx; and “Love Connection” hosted by Andy Cohen; as well as nature and wildlife documentaries from Smithsonian Earth. Consumers can also save on several Roku streaming players in the United States. For a limited time, customers can get $10 off the Roku Streaming Stick ($49.99) and the Roku Ultra ($99.99), as well as $15 off the Roku Streaming Stick+ ($69.99). The offers are available at major retailers including Amazon, Best Buy, Target and Walmart.com, and at Roku.com through May 26.